The first thing in my mind the moment I first held the Samsung Galaxy S6 was. It looks so much like Apple’s iPhone 6. Especially the edges. But we all kn0w that Samsung’s Android-based phones are world’s apart from Apple’s iOS-based iPhones. 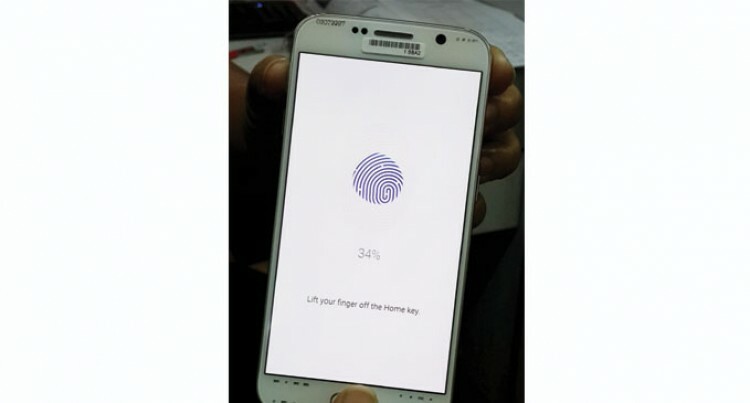 I was glad to have been one of the first few in Fiji to have been able to get hands on with the Samsung Galaxy S6 launched globally early this month. Our thanks to Vodafone Fiji. Vodafone Fiji is expected to launch the Samsung Galaxy S6 here next month here. When I went into the new specifics of the new Samsung Galaxy S6, I noted that Samsung has in fact bent more towards iPhone 6 than towards Galaxy S6 predecessor, Galaxy S5. To my disappointment, it has shed the water proof feature which was an attraction in the Galaxy S5 and S5 Mini. As well as now, the S6 does not have expandable memory which means you are stuck with the in-built memory capacity you purchase the device with – similar to what all iPhones offer. You cannot insert a memory card to increase the memory space. But it does come with bigger storage options starting at 32GB and then moving to 64GB and 128GB. Moreover, the battery comes attached to the device and cannot be removed. Moreso, even if you are a iPhone user but want to switch to Samsung without so much hassle involved with changing of sim, good news is the S6 uses the nano sim which is used in the new iPhones. Therefore, this mean bye bye to the micro sim which was used in the previous Galaxy versions. The other feature which could have been improved is the TouchWiz. This is not something in iPhones but has been carried on from the Galaxy S5. The TouchWiz in S6 makes the interface cartoonish. Although these were some of the downsides I felt, however, it would not be right for me to ignore features which really makes Samsung Galaxy S6 a worthy upgrade. I have highlighted these features below.